Welcome to Saint Paul University! Located in the heart of the nation’s capital, Saint Paul University (est. 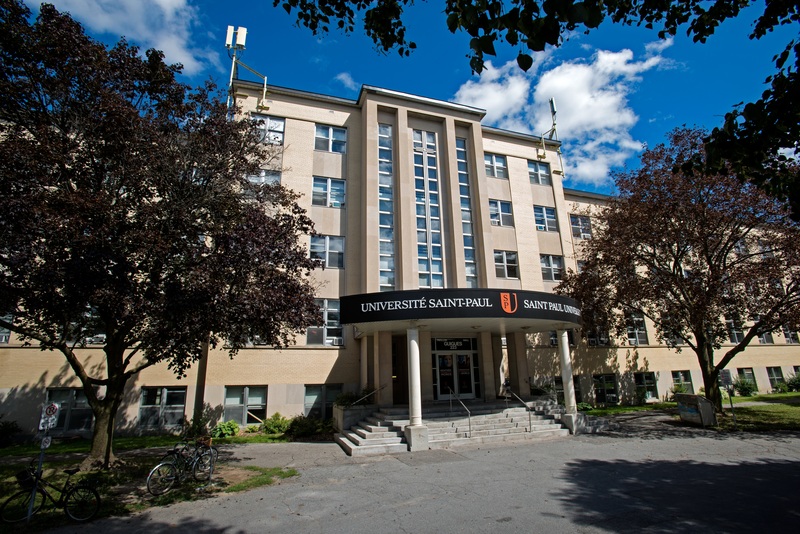 1848) is the founding college of the University of Ottawa, with which it has been federated since 1965. A bilingual institution, it offers undergraduate and graduate study programs. Proud of its rich heritage, over the years Saint Paul University (SPU) has evolved into an institution whose primary focus is on the multiple facets of the human experience. Not surprisingly, that priority is reflected in our current study programs: in addition to our founding disciplines—canon law, philosophy, and theology—we offer courses in social communication, social innovation, transformative leadership, supportive care in palliation, counselling and psychotherapy, public ethics, conflict studies, and human relations and spirituality. Besides its academic programs, SPU offers a number of complementary services, including support and guidance to help students succeed academically and personally; access to symposiums, conferences and workshops with distinguished specialists in the areas of issues facing today’s society; a student residence; and a library with an outstanding collection of documents and books on a range of specialized subjects. SPU is known for its small class sizes, personalized service, diverse student population and international vision, solid reputation, rich history, and Catholic intellectual tradition.